Place chicken in a large ziploc bag or a tupperware container with a lid. Squeeze the juice of the limes over the chicken, and add minced garlic and red wine vinegar. Toss to coat and refrigerate for 4-8 hours. When you're ready to cook your chicken, melt 1 tablespoon butter or olive oil in a heavy bottomed pan over medium-high heat. 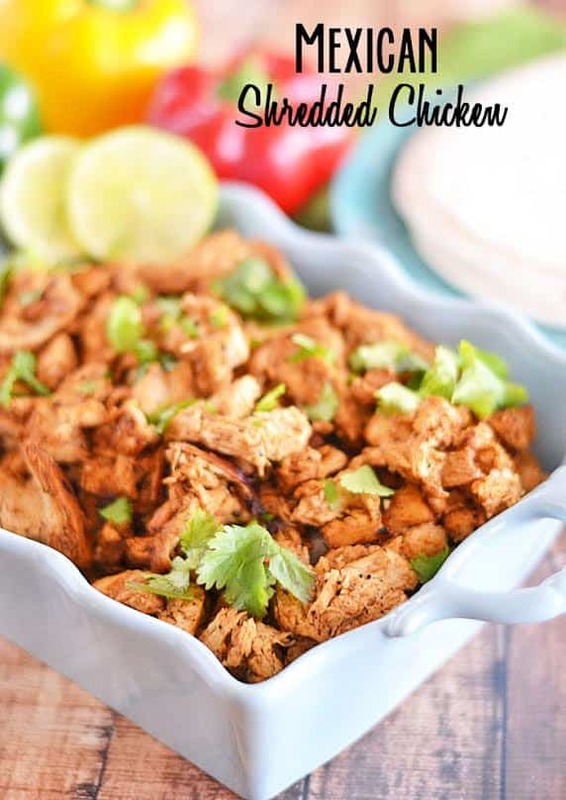 Rub taco seasoning over chicken pieces and place chicken in pan. Cook chicken until browned, about 7-10 minutes. Remove chicken and shred.